$17.0 International Silver Sterling Silver (Insico)Richelieu Pattern Knife 9.5"
$289.95 Antique weighted Sterling Silver Candlestick / Candelabra Empire 5~Posts 1110 g.
Buy: $16.5 Vintage Newport E.P. 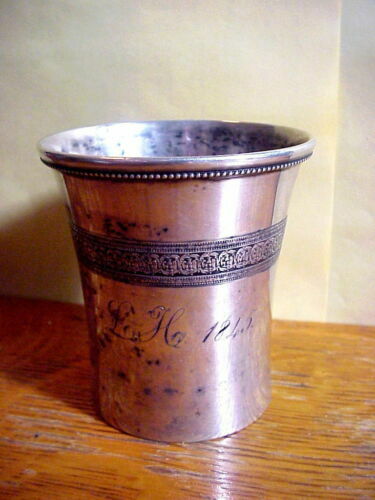 Silver Plate Water Pitcher 8.3"
$29.95 Antique Sterling Silver Precious Child's Cup, Baby's Cup, Engraving Name "Gay"
Buy: $80.9 Silver Pitcher with unique pattern carvings from the 1900s new in box. $99.95 Vintage Solid Sterling Silver Porringer Bowl Mono "LWA" Roger Lunt Bowlen 174 g.
$48.95 Alvin Maryland Sterling Silver Tea Spoons - 5 3/4" LOT 3 No Monogram NICE ! 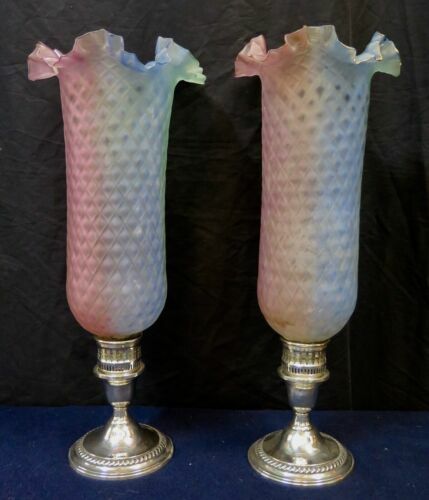 $62.99 PAIR of TWO 2 EARLY Antique MERIDEN Silverplate 6 3/4" GOBLETS Toasting Huge! $19.99 COMMUNITY SILVER ADAM PAIR OF HH HOLLOW HANDLE DINNER FORKS EXCELLENT!